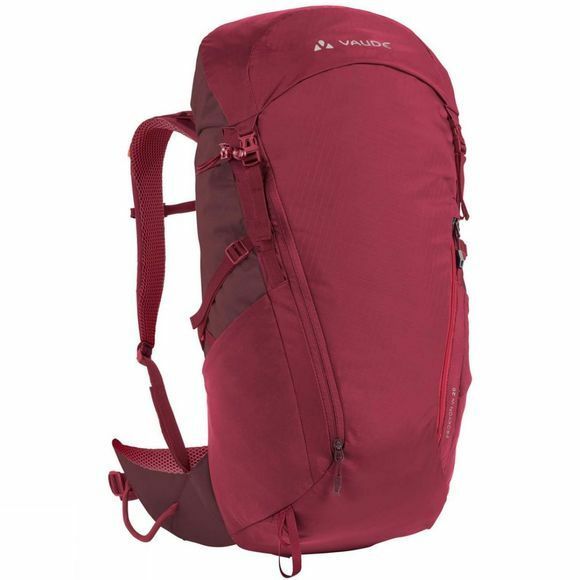 The Womens Prokyon 28 Rucksack from Vaude is a green multi-talent! A high-performance hiking backpack for ambitious tours and via-ferrata. 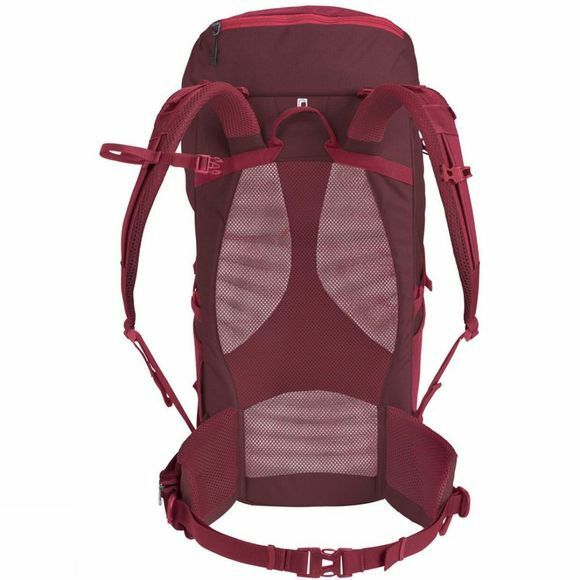 The VentActive-Hike body contact back ensures a compact fit. Vaude's new EMP back panel inside the pack stabilizes the load and accompanies every movement forward while preventing your gear from pressing into your back. The ergonomic shoulder straps and narrow pack design offer excellent freedom of movement. The main compartment holds everything you need for day tours; hiking map fits into a pocket on the front. There's a safety pocket in the lid for keys, money or documents. The pack can be compressed with side straps when needed. A side stretch pocket takes your drink bottle, gloves or a hat.